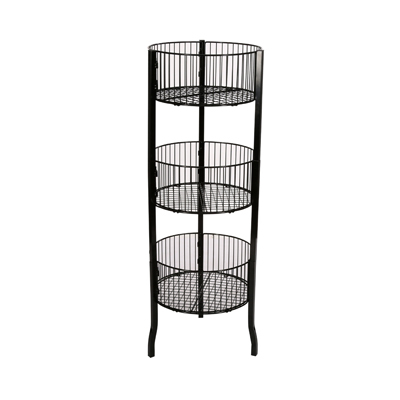 Great affordable way to turn your overstock into profit! 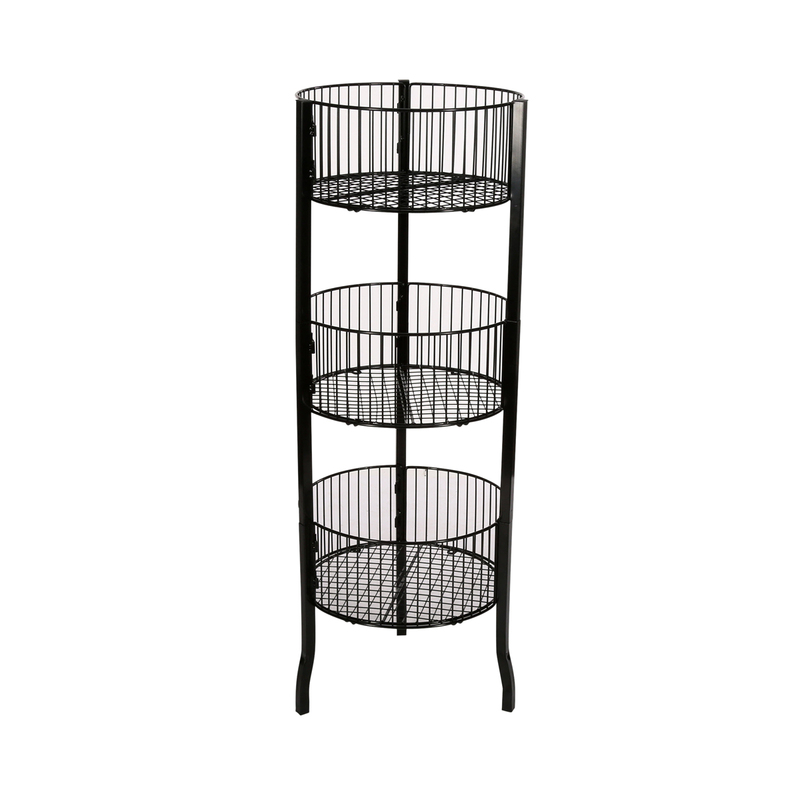 Attractive Black 3 Tier Circular Bin display is small enough to fit in any area but large enough to bring in the profits. Each bin is 16 in. diameter x 6 1/2 in. D. Easy to assemble.